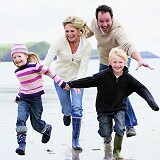 The North Devon coast is a heaven for family breaks. There's the amazing golden beaches at Woolacombe, Saunton Sands and Croyde, plus Exmoor National Park and many exciting family attractions, including theme parks such as The Milky Way and The Big Sheep. Free use of Leisure Facilities including a heated indoor and outdoor pool. 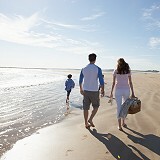 Discounts to local attractions - meaning North Devon is perfect whether you are visiting in the Summer or Winter. *Children dine free when dining with parents in Heanton Bar or Brasserie Restaurant. Children aged 13-16 years pay for meals as taken. A family of 4 consists of 2 adults and 2 children (Aged 3-12 yrs) staying in a Garden Court Room during winter.